I bought Salmon, and I got parsley and a few other greens that I was going to try to make this other salmon dish with, but it just wasn’t sounding great, and instead I peeked into the cabinets to see if I had enough ingredients on “standby” to make up for this detour. I ended up deciding that this simple recipe would go over better on my stomach and my attention span than the recipe I had previously chosen. 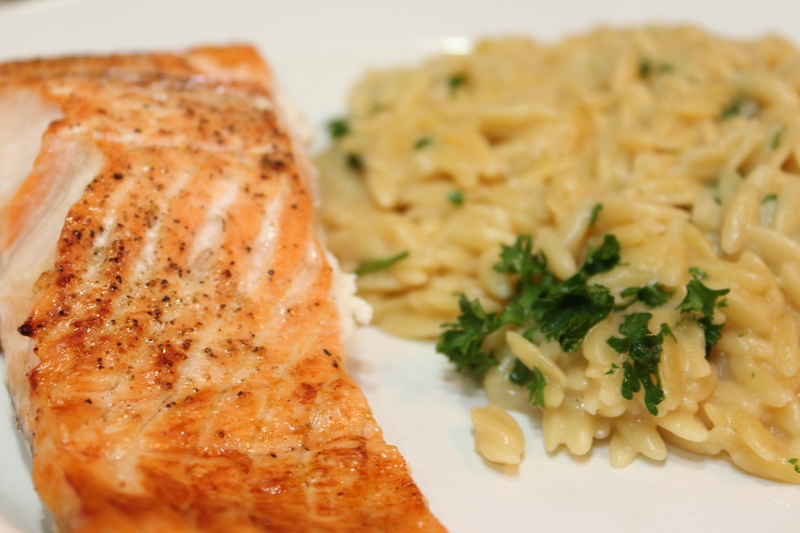 The salmon is nothing special. It’s just got a little drizzle of olive oil, a bit of fresh squeezed lemon on it, and it’s broiled until it starts to fall apart and comes off it’s skin easily. This takes about, oh, 12 minutes? Salmon was on sale this week, so I got a nice sized piece for a decent price. The thing that I always have to remember is if I am going to use parchment paper, I really need to fold it under on the sides so that it doesn’t get pulled up by the heat and start to smoke and smell up the house in awful ways. This is key. I somehow manage to forget this step, oh… 75% of the time? It’s really hard to fold over parchment paper when it’s really hot and has started to turn brown… Just so ya know.. Melt butter in a skillet or at least a 2 qt saucepan over medium-low heat. Add onion and cook until soft but not browned, about five or so minutes. Add garlic and cook 2 minutes more. Meanwhile, in a small-medium saucepan, heat chicken stock just until it begins to boil. Or be lame like me, and heat water in the microwave, and smash bullion cubes up in nearly boiling water until you have achieved “broth like” substance. 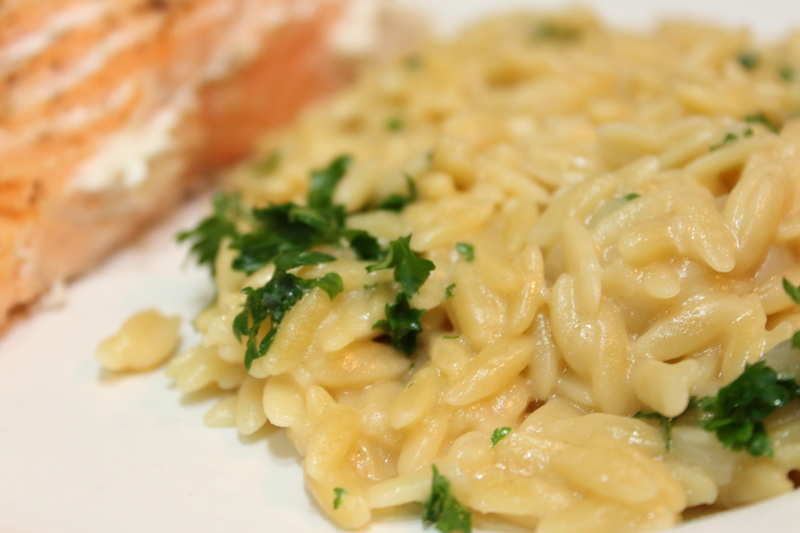 Add orzo to onion and garlic in main pot/skillet. 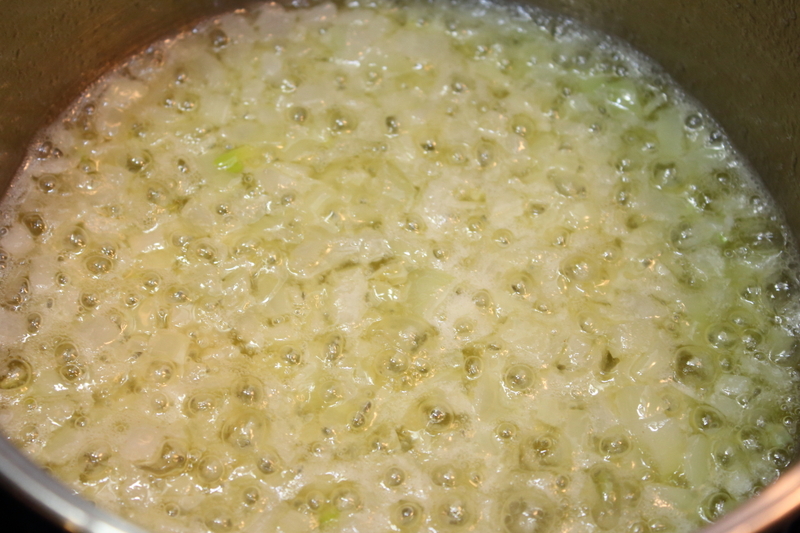 Stir in hot chicken stock, bring to a boil, cover and remove from heat. 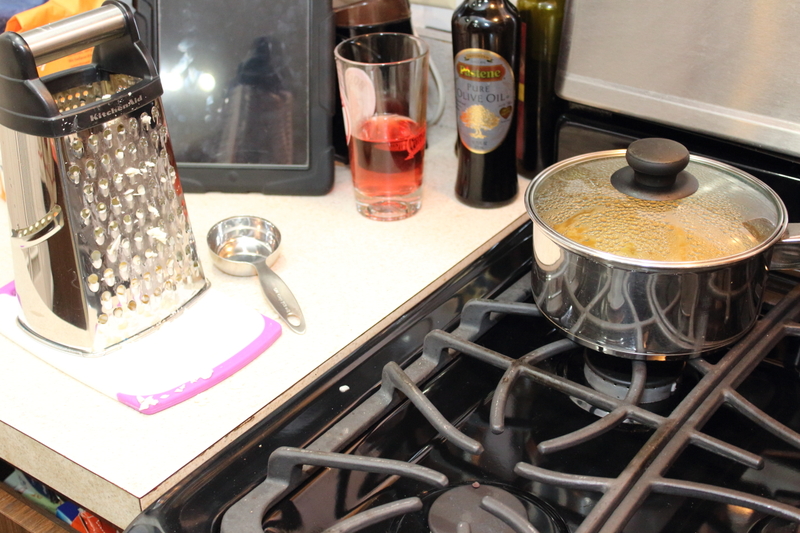 Let stand, without removing cover, until all liquid is absorbed, about 20-25 minutes. 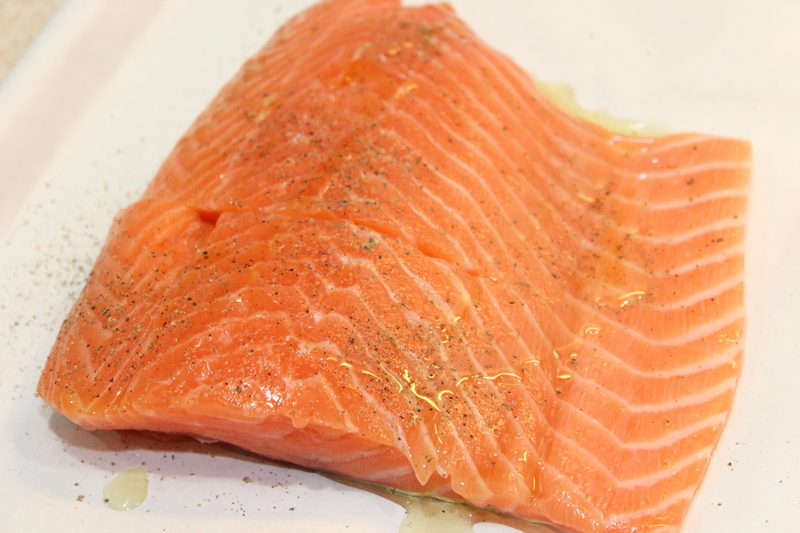 Start prepping and cooking salmon at this point, so that the meal will be done all around the same time. Finally, stir in your cheese until it’s combined and melted. If not all the cheese melts, put pot/skillet back on low heat and stir until all cheese is melted in. Toss with fresh parsley, and serve immediately.